Happy Friday, friends! 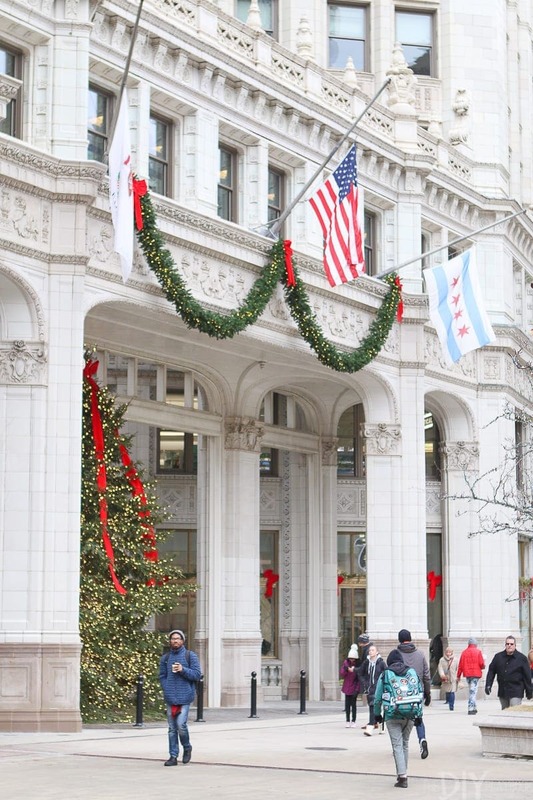 Anyone else eager for another fun-filled holiday weekend? Gotta love this time of the year. 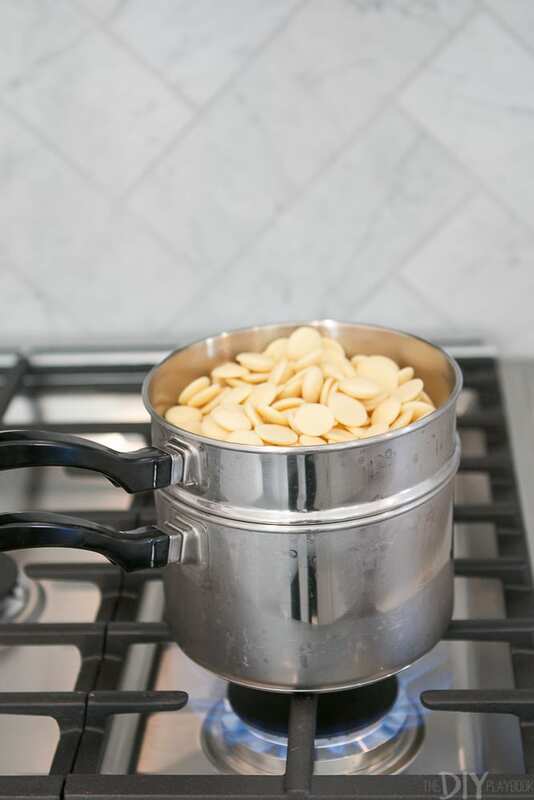 Today I’m so excited to share a super easy family recipe we’ve been making for decades! 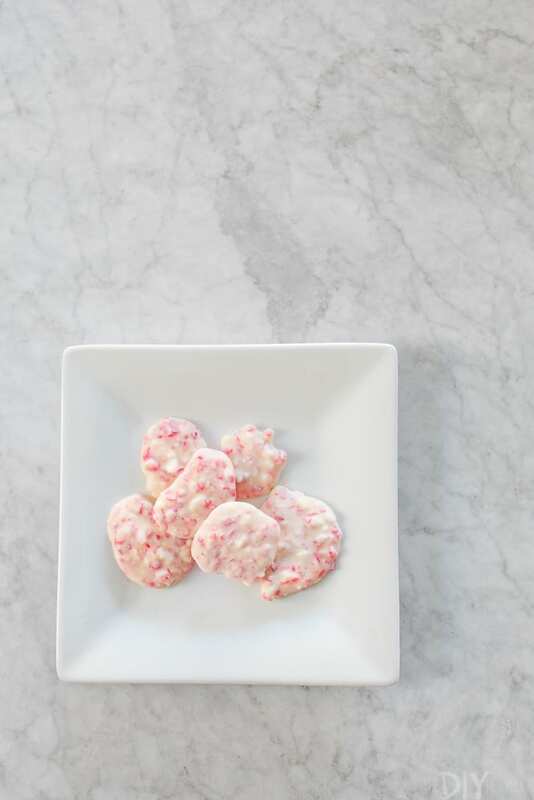 It’s white chocolate peppermint bark that is a crowd favorite. 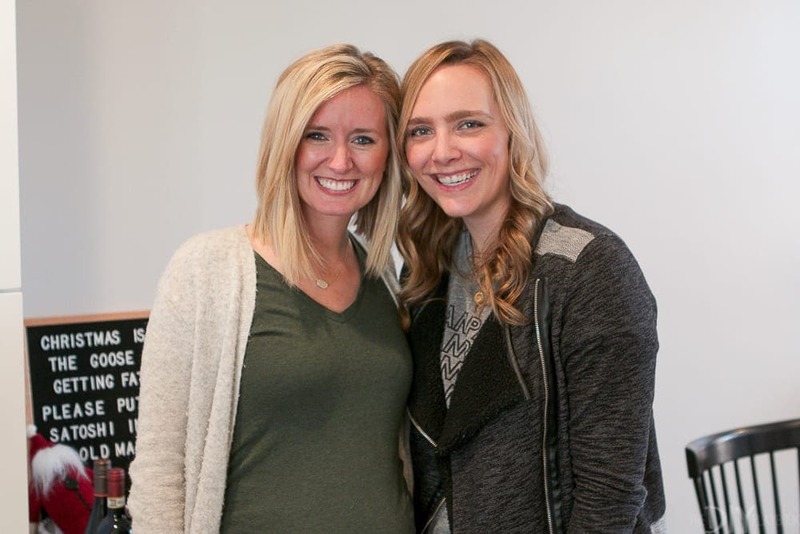 I’ve chatted about Cookie Day before (you can read more about Cookie Day from this post from 5 years ago! 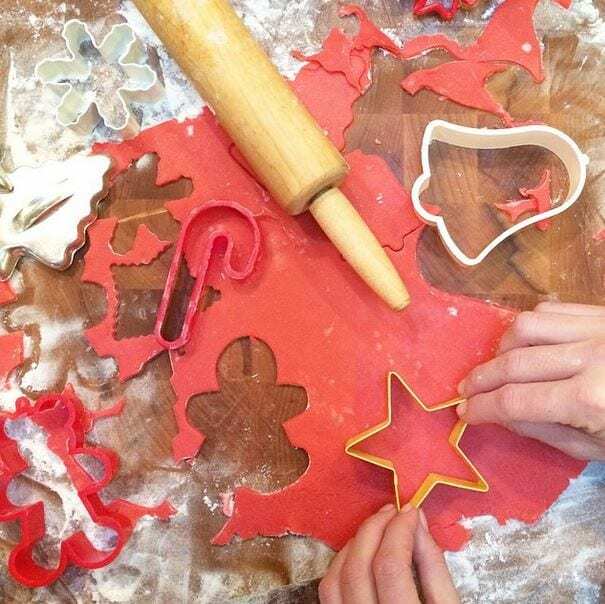 ), but every year we have an annual Christmas cookie making day. 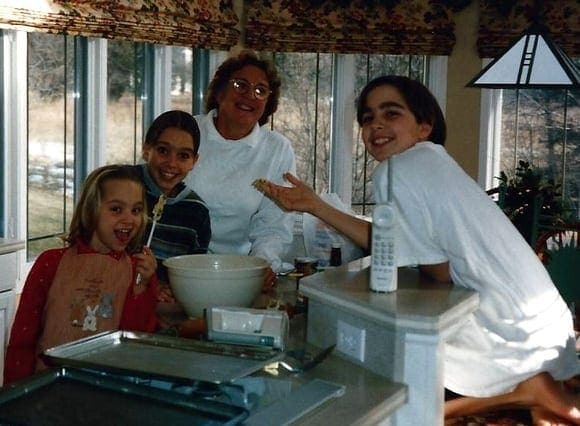 It started when we were kids and we would each get to invite a friend or 2 over to bake cookies all day long. We haven’t ever missed a year, and Bridget has actually been coming for the past 15 years or so. 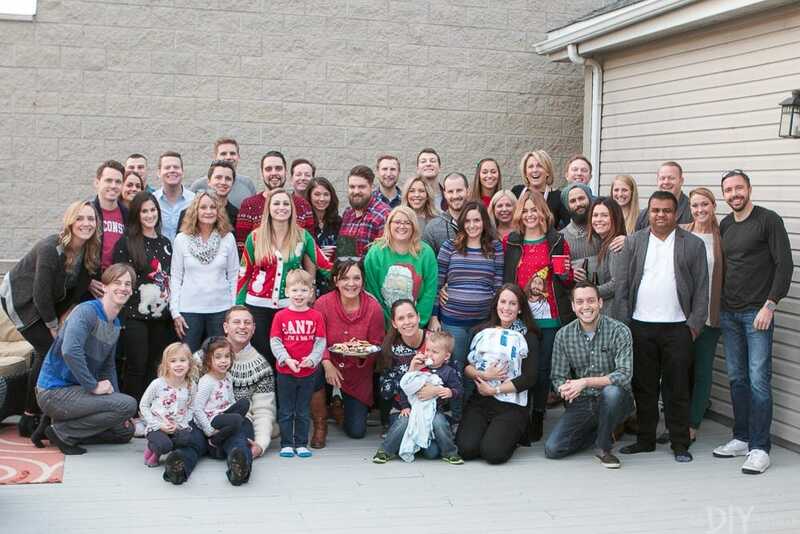 Now it’s much more of a production and this year we had over 40 people at my brother’s house for the day! 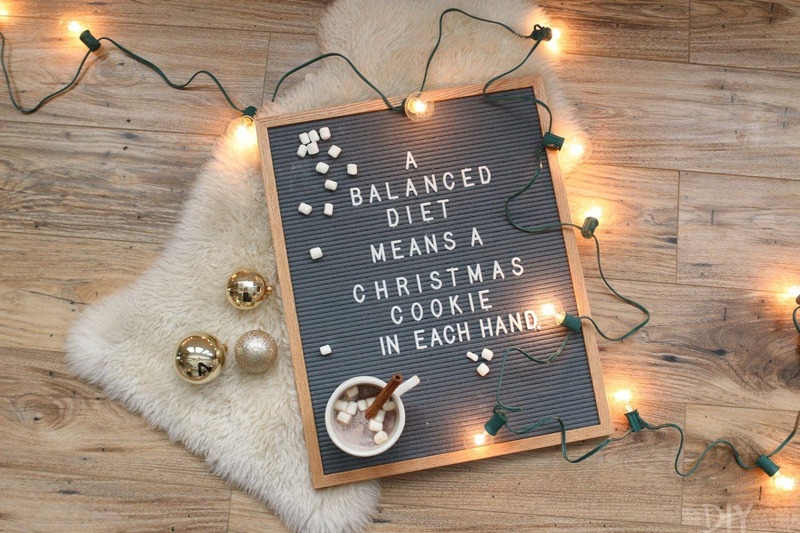 We bake tons of Christmas cookies, order pizza, and drink holiday cocktails all day long. 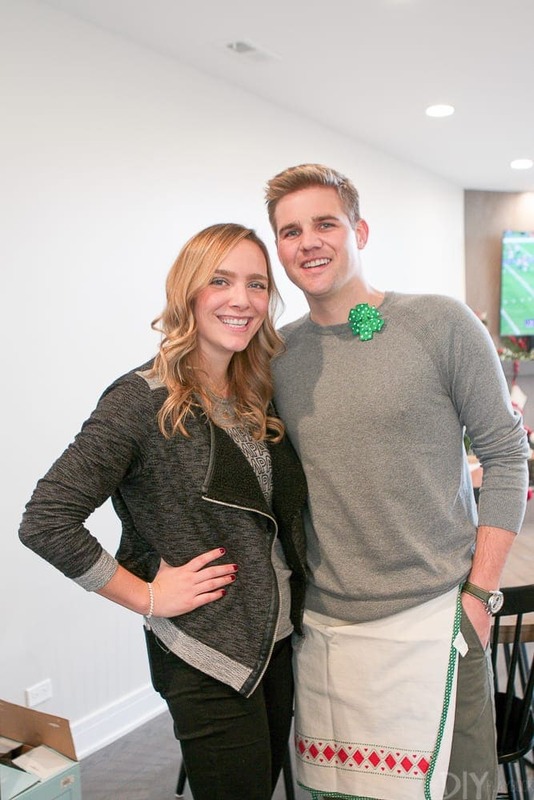 It’s a tradition I look forward to every year and this year’s party didn’t disappoint! 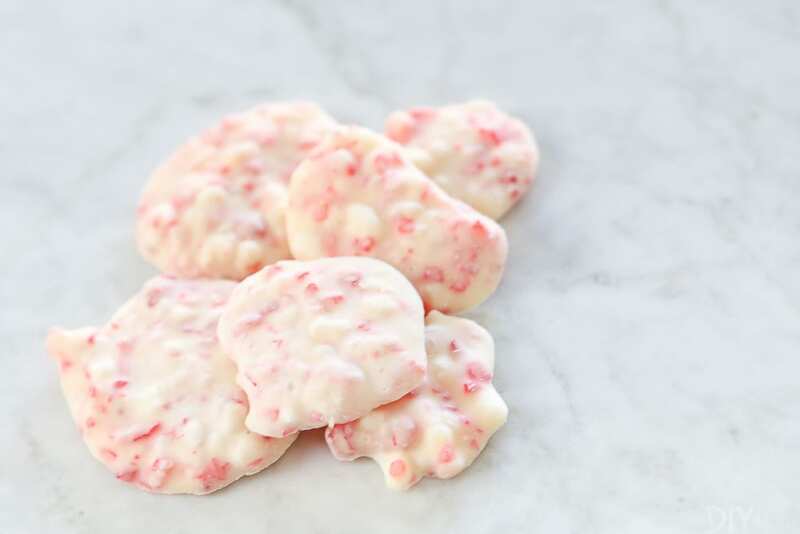 My mom bakes lots of varieties of cookies before the big day, but then on cookie day we make 3-4 kinds…one of which is the white chocolate peppermint candies I’m going to share with you today. 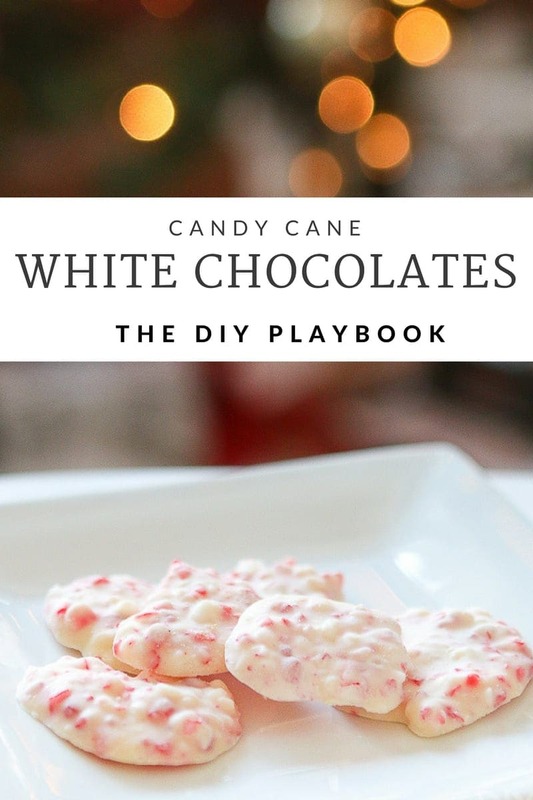 This is a fun one because it’s super simple and the little candies are so decadent and delicious. I find myself eating 1 (or 3…) after dinner every night during the holiday season. They’re just so good. 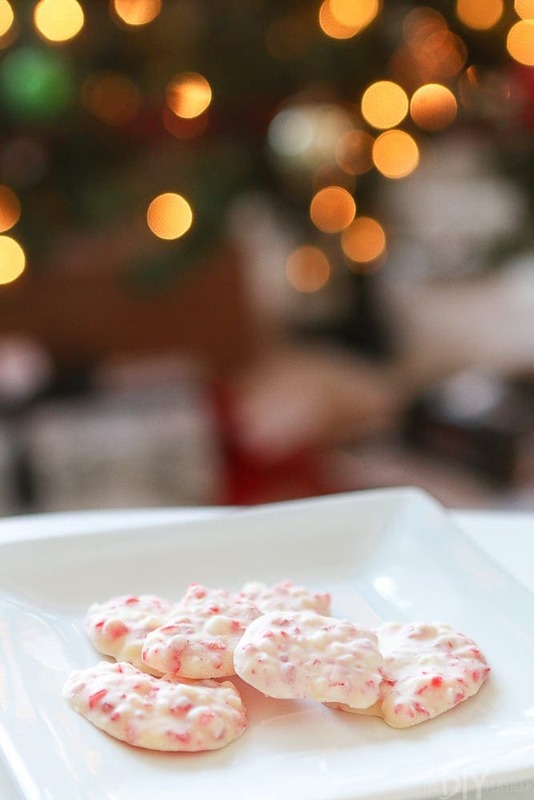 The only 2 ingredients you really need are white chocolate and candy canes. 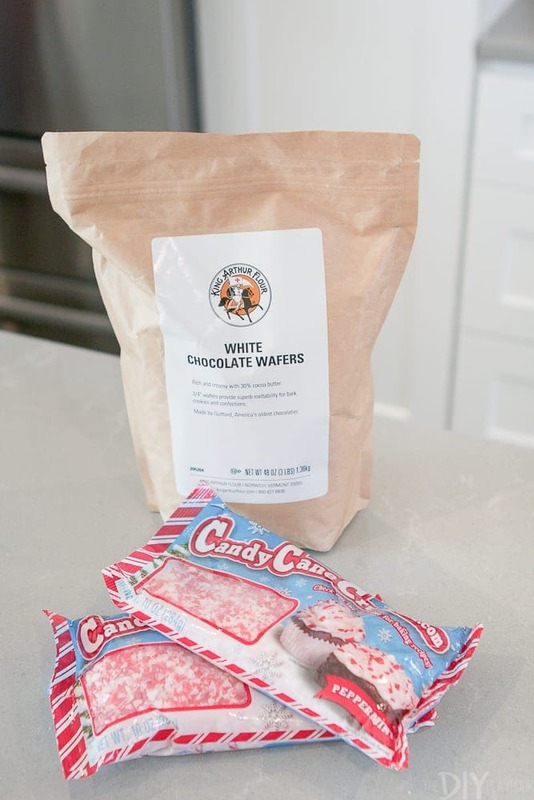 We used to always buy lots of candy canes and give a few people the job of unwrapping them and placing them in a couple big baggies. Then we would head to the garage to pound the bag with a hammer to make little pieces of peppermint. It was tedious…but actually pretty fun too! 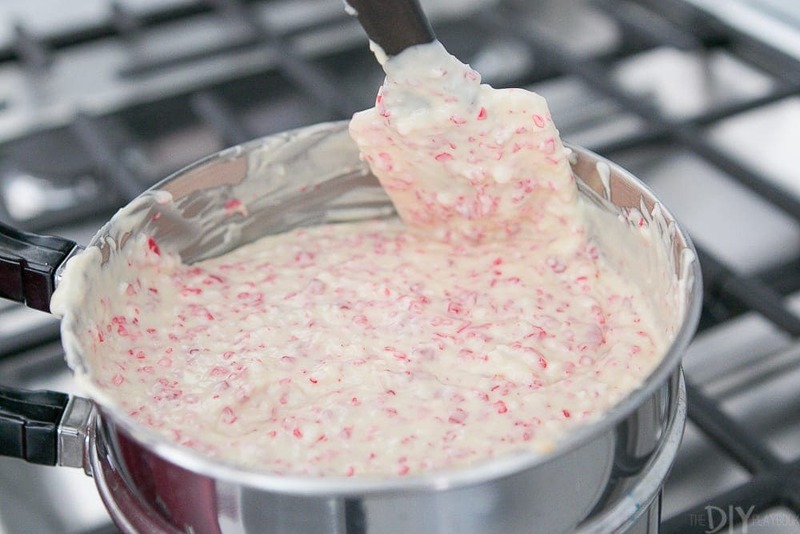 Now we found pre-made peppermint bits, so there is no need for all of that pounding. 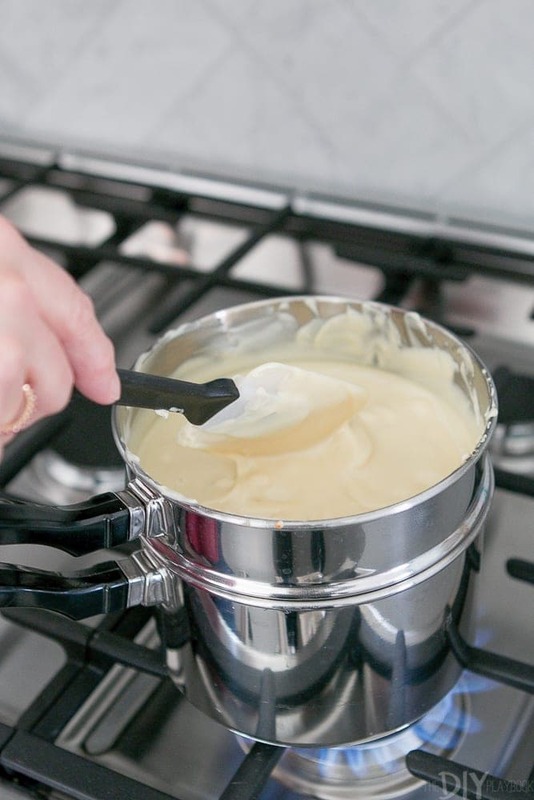 So first up, you need to use a double boiler. 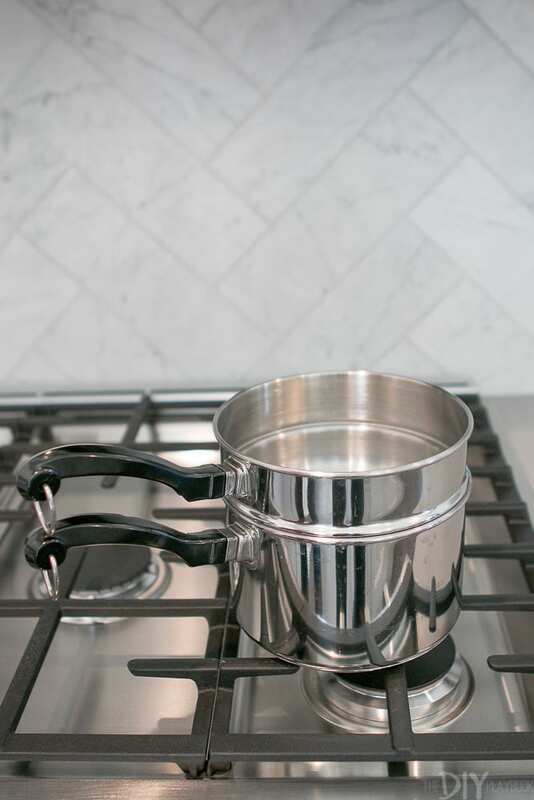 This kitchen gadget is new to me, but essentially you put water in the bottom boiler and that heats up the top boiler. This prevents the chocolate from burning. 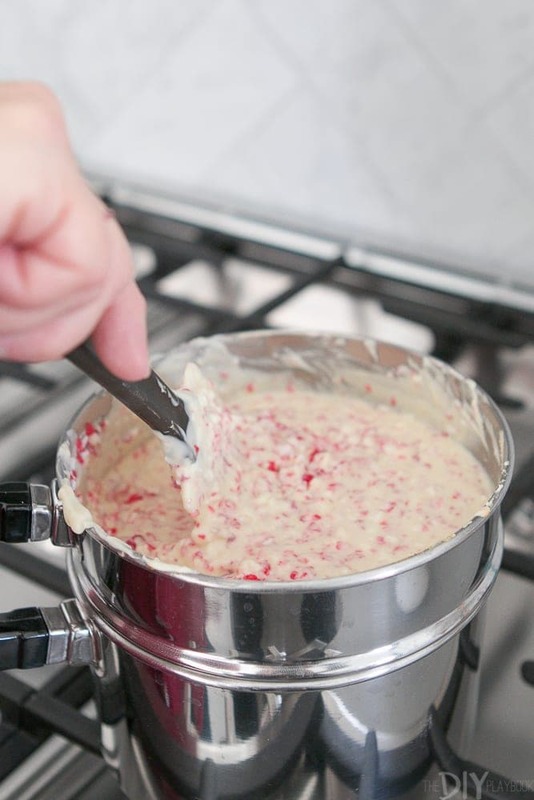 So get the double boiler going, and put in your white chocolate. Melt the chocolate until it is smooth, stirring constantly. 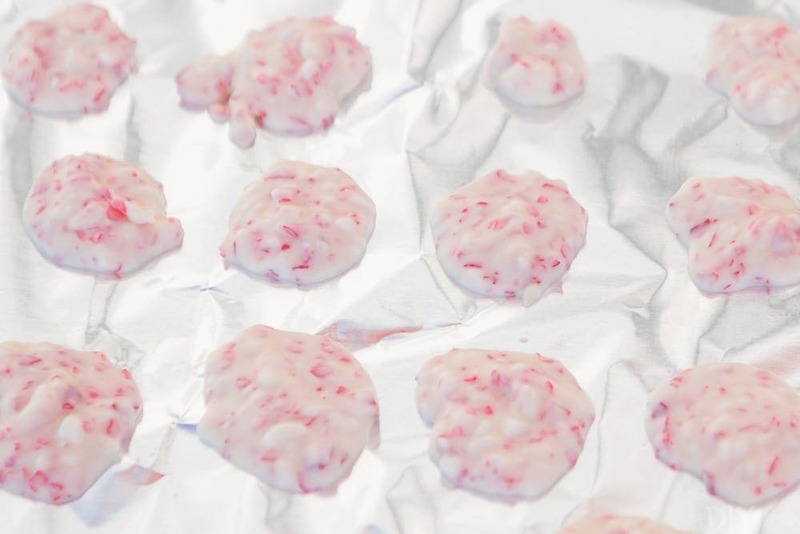 Once the chocolate is all melted, pour in the bag of peppermint. Stir it and mix until it is spread evenly through. It was actually too warm on Cookie Day (in the 50’s! ), so we had some trouble getting these bad boys to harden outside. So we ended up putting them in the fridge to really harden and turn into candy. It’s that simple! 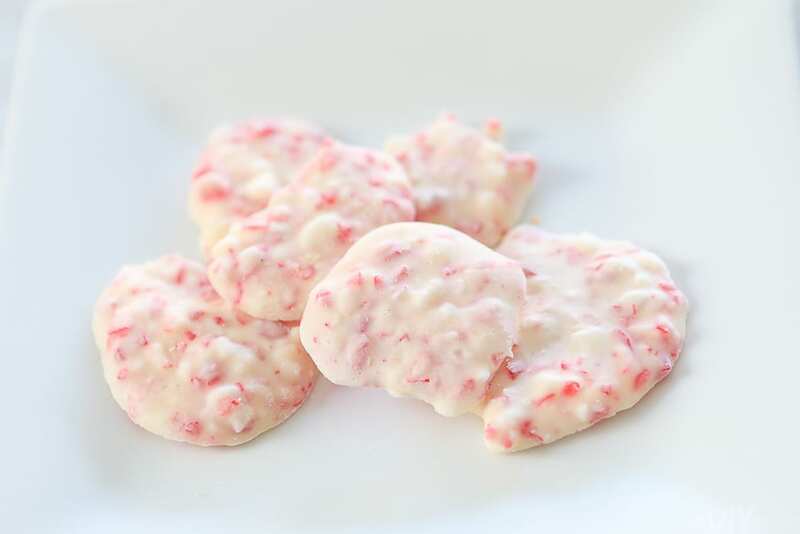 These white chocolate peppermints remind me of the pink candies from Fannie Mae. We used to always get those in the mall when we were kids as a treat! They were the best. Anyone else ever have those little pink chocolates? I’m telling ya this is such a fun recipe that anyone could make and would be perfect if you want to get kids involved in the kitchen this holiday season. 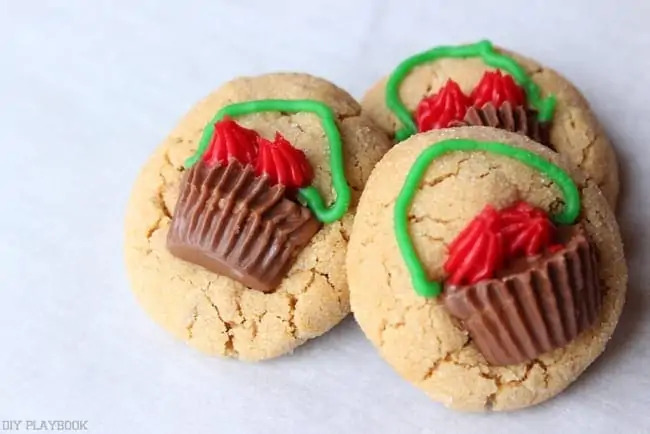 And if you’re a peanut butter lover, then you’ll have to check out this other amazing cookie we make on Cookie Day…peanut butter cookies with Reese’s. 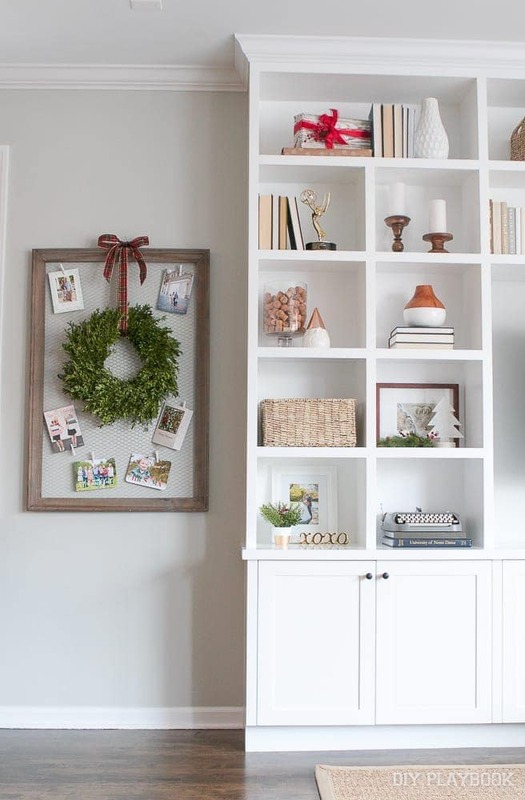 We decorate them to look like little poinsettia baskets, so they’re both yummy and adorable. 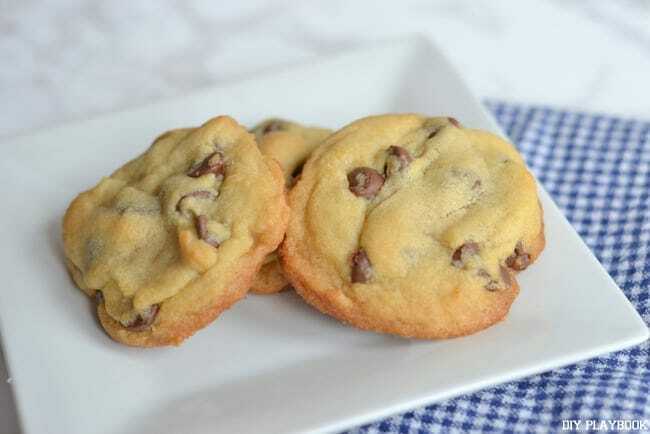 Or if you’re more of a classic chocolate chip cookie person, then you’ll have to check out this post with Finn’s tips to get the PERFECT chocolate chip cookie. 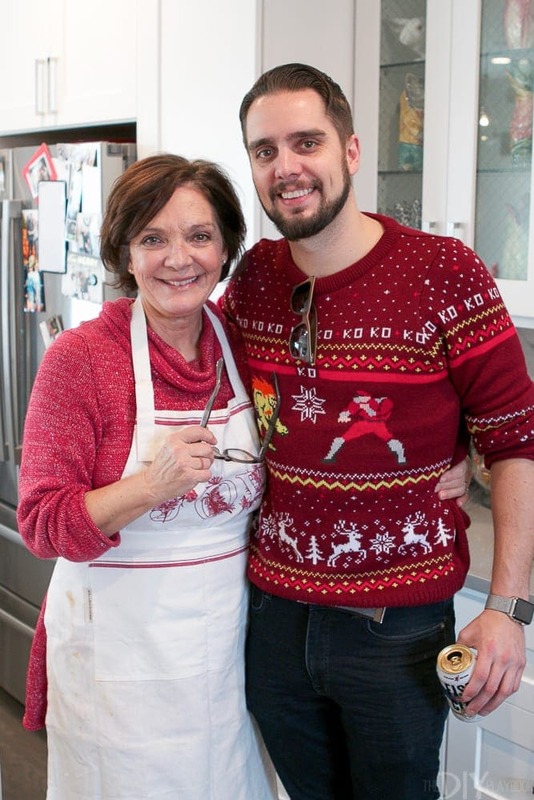 I’m telling ya…the man can’t bake a bad cookie. P.S. 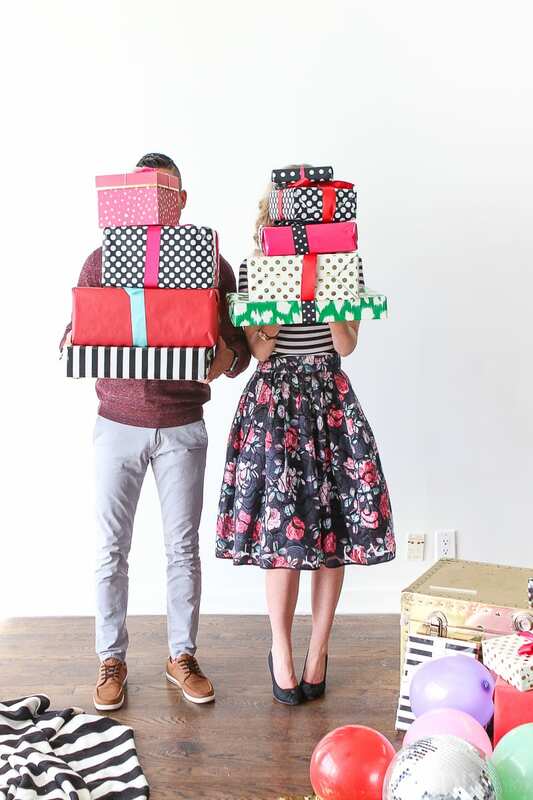 If you’re still not done with your holiday shopping, be sure to check out our gift guide! 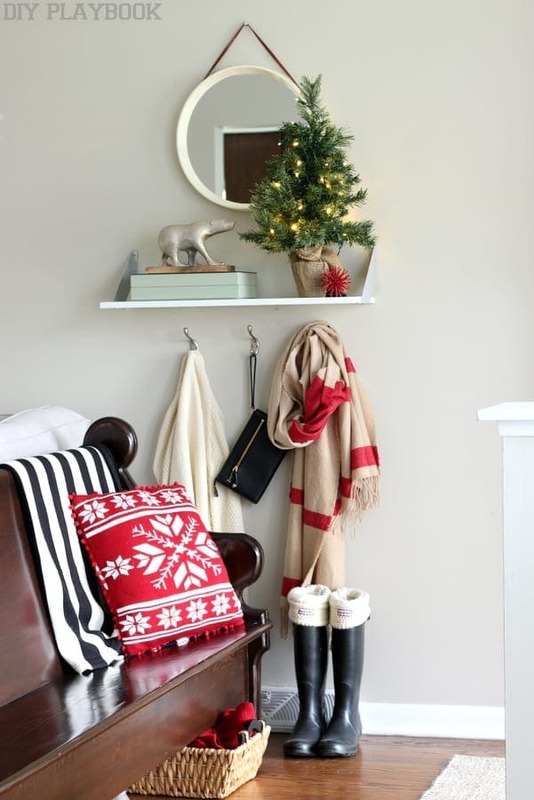 We’ve got so many ideas for everyone on your list!